If you want to find a lot of people asking dumb and/or racist questions, you don't have to look much further than the President of the United State's twitter feed. But if you look even further into the depths of despair that is the internet and real life, there are even dumber questions being asked. 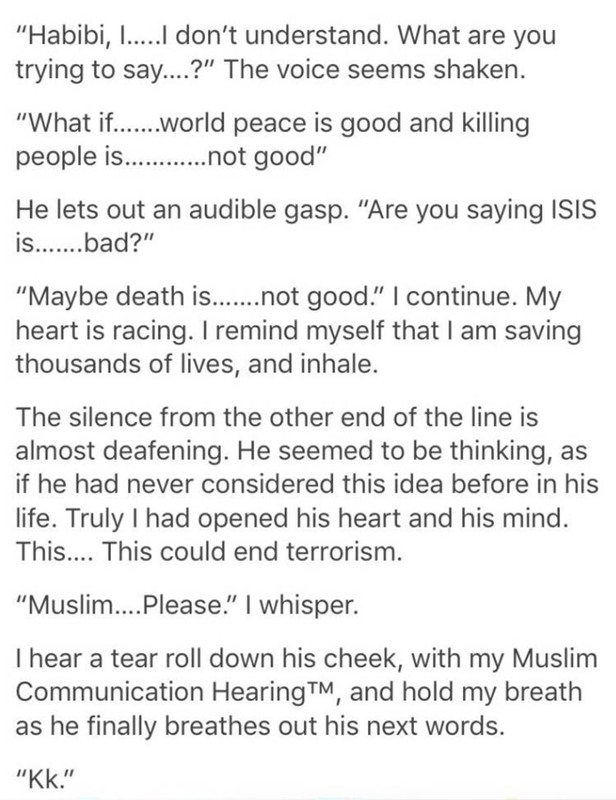 A common thing posted by Islamophobes is apparently "why can't muslims just tell ISIS to stop killing people?" just had a 30-minute argument with my mom about the ludicrousness of the phrase "why can't muslims just tell isis to stop killing people"
"why can't muslims tell other muslims to stop killing people"
Here are her replies below. Another anonymous person stepped in to defend original Anon (origanon, if you will), but she didn't back down or back away. 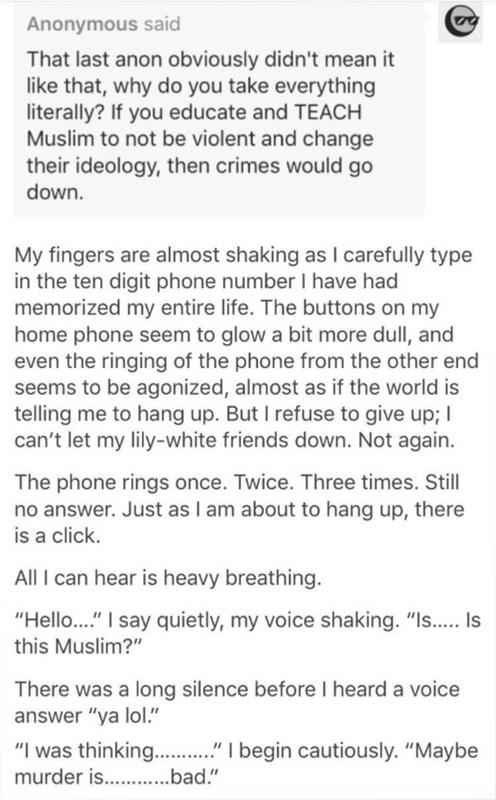 Her hilarious post has since gone viral on Twitter, where she also posts other hilarious stuff.